Help Your Group Thrive: A Workbook and Planning Guide easy-to-use manual guides leaders of groups of all kinds-discussion groups, peer support groups, organizations, and workplace teams. It provides leadership and facilitation tools, sample group agreements, online netiquette, and numerous modifiable forms for starting and maintaining groups. Summer’s here, the perfect time to hit the road and … write about it! Join us for an evening with our writers sharing stories of trips taken, to be taken, and best forgotten. On Sunday, July 8th from 12-2pm, join Left Coast Writers® Live on FCCFREE RADIO’s popular show, Lilycat on Stuff. Lilycat’s guests on Sunday will be TC Currie and MJ Pramik. As a girl of five, TC Currie was delighted to discover that books allow her to escape into other worlds. She has been armchair traveling and writing ever since. After parlaying her degree in Asian Religions into a career as a software developer, TC gained a reputation for being able to translate between software users and techie geeks. After years of technical writing, she found her bliss in non-technical writing. She’s won everything from the Silver Medal from the Solas Travel Awards for her personal essay “Checkers and Humanity” (2014) to NaNoWriMo (2012), and her poetry has been included in the Gift of Love and Speak Out poetry anthologies (2008 &1993). She is currently writing and reading voraciously in her Victorian home near San Francisco with her delightful boyfriend and fluffy cat. A member of Left Coast Writers, TC is author of a self-help book on surviving surgery, a mystery novel and a poetry collection. Mary Jean Pramik, a coalminer’s daughter and a great, great-granddaughter of the Mongolian pain, has hitch-hiked across the United States, tracked May apples in Ohio, chased children through wet mountains of California, fended off bill collectors in tropical San Francisco, and counted sharp-taloned bird carcasses along the Pacific’s Point Reyes sands. Communicating with screeching penguin hoards in Antarctica remains a high point of her sojourn on this planet. MJ earned undergraduate and graduate degrees in biological sciences, and completed an MFA in writing. She moonlights as a medical writer, penning such scientific thrillers as Norenthindrone, The First Three Decades, the fast-paced history of the first birth control pill extracted from a Mexican yam. Winner of the coveted Mary Women Medal and a Travelers’ Tales Solas Award, MJ’s articles and essays have appeared in Nature Biotechnology, Drug Topics, and Cosmetic Surgery News, and mainstream publications such as Good Housekeeping, Odyssey, and the National Enquirer. She has contributed to the “Venturing in” travel series on the Canal du Midi, Southern Greece, Southern Ireland, and Puglia, Italy, and the “Wandering in” series for Costa Rica, Bali, and Cornwall. MJ teaches graduate writing skills in the College of Science and Engineering at San Francisco State University. Don’t miss the July salon. We have a special treat for all the members! Paul McHugh, long-time journalist, novelist, raconteur and author of The Blind Pool, will present his tip-top top tips for bringing plots to life via dynamic character development. He teaches how a storytelling toolkit can operate across all genres, using fiction techniques to improve narrative journalism, and using reportorial skills to enhance fiction. A vivid character who has to confront a life-changing choice is an essential formula for a vibrant and meaningful story. McHugh will illustrate this rule with examples and a reading from his new political thriller, The Blind Pool. Paul McHugh‘s byline is well-known to many readers in the Bay Area and Northern California. A major factor of McHugh’s writing career was 22 years as an award-winning feature writer and editor of the Outdoors Section of the San Francisco Chronicle (1985-2007). Deadlines, Paul McHugh’s first crime novel (2010), won the best mystery prize from National Indie Excellence Awards, and another from the Bay Area Independent Publishers Association. The Blind Pool—his new political thriller—draws from his years as an investigative journalist and writer for the Chronicle and other major U.S. newspapers. On Sunday, June 17th from 12-2pm, join Left Coast Writers® Live on FCCFREE RADIO’s popular show, Lilycat on Stuff. Lilycat’s guests on Sunday will be Sharon Skolnick-Bagnoli and Craig D. McLaughlin. Craig McLaughlin is a journalist, essayist, and storyteller. He appears frequently at storytelling venues throughout the country, and particularly in the San Francisco Bay Area where he resides. A former editor of the San Francisco Bay Guardian, he has won numerous awards as an investigative reporter, news editor, and memoirist. His performance schedule can found at www.cdmclaughlin.com. Sharon Ruth Skolnick-Bagnoli is a visual and word artist who works as a magazine art director, graphic designer, and editor. She grew up in Atlantic City, New Jersey, Fairfax County, Virginia, and Baltimore, Maryland, and earned a bachelor’s degree in industrial design from New York City’s Pratt Institute and a master’s degree in educational technology from the University of Hawaii at Manoa. 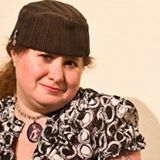 She has written fiction, nonfiction, and poetry, authoring three published books: a novel, Colored Edges (2014), a collection of poetry and art, Shiny Objects (2009), and a nonfiction regional history, Dreams of Tamalpais (1989). Left Coast Writers members get 10% off the registration price! What is your mother tongue? Sometimes the simplest questions take a book to answer. Tania didn’t know why she spoke Serbian, rather than Croatian, with her mother, Zora. It never occurred to her to ask until she started writing Mother Tongue. The unrelenting consequences of 100 years of Balkan wars have forced three generations of Croatian women—Katarina, Zora, and Tania—to flee their homelands multiple times. Eventually, Tania, a successfully integrated American, journeys back to her fractured homeland with her mother to unravel the secrets of their shared past and history as she looks for answers. Mother Tongue is an exploration of lives lived in the chaos of the Balkans. It follows countries that dissolved, formed, and reformed; lands that were conquered and subjugated by Fascists and Nazis and nationalists; lives lived in exile, in refugee camps, in new worlds. You won’t want to miss this: another entertaining and provocative work by author and artist Todd Crawshaw. When criminal psychologist Mira Skyles is assigned by a court order to evaluate Egon Norwood, a person of interest in a serial murder investigation, she recognizes both a man with a dissociative identity disorder and the boy who once saved her life, with whom she shares a secret history. The fascinating and intriguing Non-Fiction Panel will be discussing the current state of the art at Book Passage Bookstore & Cafe in Corte Madera, California on Monday, June 4th, 2018. We’re hoping we can continue a discussion that began at the Hawaii Book and Music Festival, here on the mainland. Panelists include Mikkel Aaland, Joanna Biggar and Joan Steidinger. Linda Watanabe McFerrin will moderate and plans to address some of the most interesting points of discussion from the Hawaii panel. The writers will be talking about the anxiety riddled membrane that separates fiction and non-fiction, journalism and memoir, truth and lies. So join us! It’s going to be an enlightening evening. On Sunday, May 20th from 12-2pm, join Left Coast Writers® Live on FCCFREE RADIO’s popular show, Lilycat on Stuff. Lilycat’s guest on Sunday will be Todd Crawshaw. Todd Crawshaw is the author of Heretofore and Exploits of the Satyr, both novels, and Light-Years in the Dark: StoryPoems. A member of Left Coast Writers, he is the founder of Crawshaw Design, a graphic design firm based in San Francisco that provides integrated brand marketing for print and the web. He considers creative writing to be a visual art: “Like atoms begetting atoms that beget molecules, when uniquely linked, words form a DNA of indelible visions.” He is a graduate of the University of Oregon with a degree in psychology. He lives in Northern California with his wife and is the father of two daughters.